Back in March of this year, Bell and its flanker brand Virgin Mobile increased the rates of its U.S. daily roaming plans. 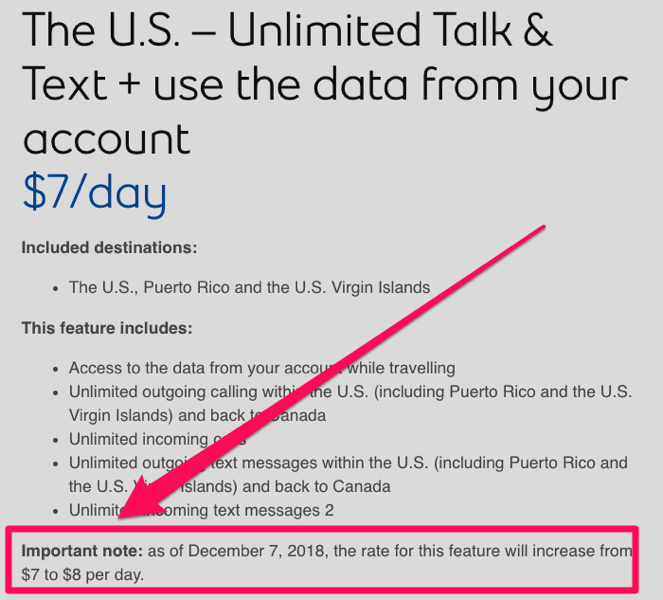 Important note: as of December 7, 2018, the rate for this feature will increase from $7 to $8 per day. This $1 increase from $7 to $8 amounts to a 14.2% price increase; since March 2018 rates would have surged by 33%. This would mean Bell will have increased the price of its daily roaming rates twice in just nine months. Telus flanker brand Koodo already announced to customers in August their U.S. Easy Roam rates had increased to $8 per day. 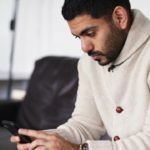 With Bell taking the lead to jack up prices for Roam Better, many wireless customers are probably wondering if Rogers/Fido and Telus are on standby to match this upcoming price increase (they’re still charging $7 per day).